I am very pleased to join you tonight to mark the membership card launch of the Allegiance Party. PNC and Peter O’Neill have changed the face of Papua New Guinea in the past seven years. 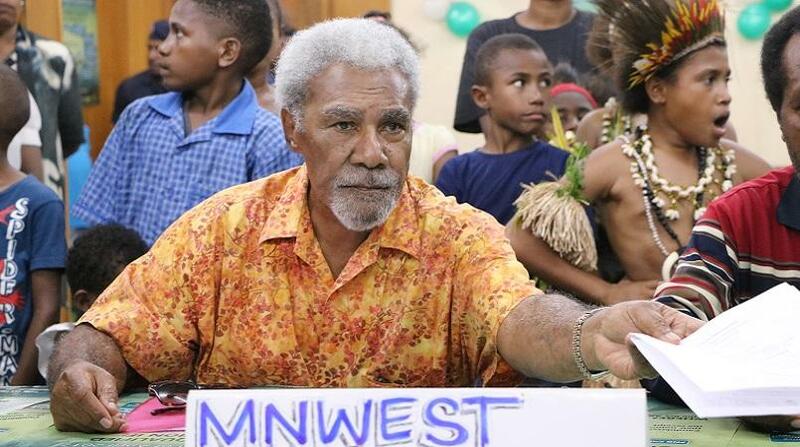 The Papua New Guinea that Michael Somare, Julius Chan, Paias Wingti, Rabbie Namaliu and I helped shape has changed, and changed for the worse. As the 2017 election demonstrated, Papua New Guineans do not want PNC or Peter O’Neill. Papua New Guineans voted for change. But thanks to the gross electoral fraud orchestrated by the Electoral Commissioner, the Police Commissioner, the Governor of the Central Bank and a handful of soldiers and senior public servants, and thanks to the decisions of some of the Members elected who campaigned vehemently against O’Neill but then chose to join him, we were denied the change the country wanted and needed. I want to take this opportunity tonight to set an agenda for a national conversation, aimed at change and reform. The time for whispering, for speculation, for telling stories, and for fear, is over. I want to ask every concerned Papua New Guinean to think about where we are, where Peter O’Neill is taking us to, and whether we want to go there. We must talk about our future. We all know the problems: ordered corruption, weak institutions, abuse of the law, erosion of Parliamentary democracy, rule by one man, a gang of people with vested interests benefitting from the system and public pocket, an often biased and buyable media, lack of media freedom and freedom of association, an ailing economy, mounting government debt, floundering state-owned enterprises, businesses going broke, Government not paying its bills, unemployment, lack of foreign exchange, basic services breaking down, shortage of drugs and medical supplies, schools closing through lack of money to function, universities struggling to operate. Many of the problems we face now are similar to those we faced in 1999 under another PNC Prime Minister. There is connecting feature – the hand and foot prints of Peter O’Neill. But the scale, depth and interconnection of the current problems make fixing them very complex and politically unpopular for any elected government. Many will require some very bitter medicine. But the longer the problems are ignored, the more rooted and structural they will become. The first step is to change the government, to clear the way for the engine of government to restart, correct the problems and lay the foundation for future growth and prosperity. A change of government can of course only be made by Members of Parliament. But to convince enough MPs of the need for change, we all have a part to play – everyone here tonight, doctors, nurses, teachers, academics, students, business men and women, unions, NGOs, churches, community leaders. People cannot leave it to the MPs in the Opposition to speak out. All of us must take responsibility. Indeed, there is a need to review many laws to improve transparency and accountability and give more strength to the Constitution. Reconstruction begins by reforming the budget, so that it becomes what it should be - the major planning tool for economic and financial management, fiscal discipline and priority-setting. Right now, it is just one man’s pocket money. Peter O’Neill is the Budget and the Budget is Peter O’Neill. Clear Government arrears and pay contractors and suppliers in full and on time. Better use should be made of bilateral and multilateral aid, especially Australian and Chinese aid. All aid funds should be integrated into the budget so that they are spent on PNG Government priorities. Stop misuse and abuse of the tax credit scheme. A Government of reform would bring out of the cupboard for public airing the true state of public finances: the real level of arrears, total public debt, and the amount of revenue forgone through tax credits and tax concessions. The Government should immediately seek dedicated balance of payments support from the International Monetary Fund to meet the backlog of foreign currency orders and provide sufficient stock for the private sector to start operating normally. We all know that few state-owned enterprises are profitable. The current practice of forcing SOEs to pay “dividends in advance”, not based on declared profits, is illegal. There is clearly a need - again - to increase the oversight and strengthen the management of these state-owned businesses, where corruption and political interference now hold sway. Reform is possible. Look at the merger of PNGBC and Bank South Pacific. Look at the reforms to Nasfund and Nambawan Super. But because reform involves replacing the known with the unknown, it is not easy. Vested interests will oppose it. To succeed, it has to be led by a Prime Minister who is committed to reform and seeks the best advice available. It needs a Prime Minister committed to open, transparent government, and encourages constructive public debate. Bryan Kramer is among those who has pioneered the use of social media to reach out to and inform our people; to extend discussions such as the one we are having here tonight, to all corners of our country; and to motivate and mobilise action. This is a new force in PNG politics. It strikes fear into Peter O’Neill because he can’t buy it, he can’t control it, and he can’t hold out forever against the will of seven million people and collective calls for change. We all need to be more engaged in politics. Let us use tonight’s launch by the Allegiance Party to restart a national conversation among all people on good government, change and reform.